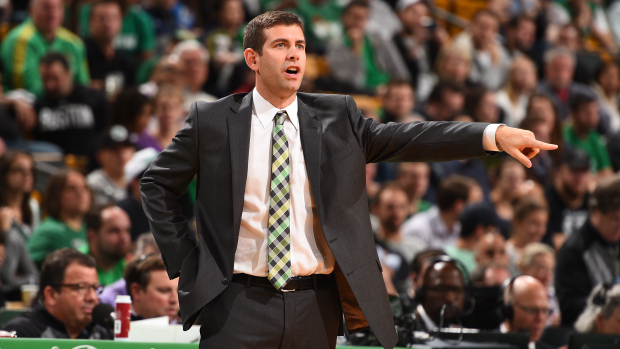 No one expected the Boston Celtics to be good entering the season. Even with presumably a healthy Rajon Rondo and Jeff Green, they were still widely expected to finish with no more than 30 wins. And to some that may have even been a stretch. Paul Pierce hit the dagger shot in game three against the Raptors to seal the win and ultimately Toronto’s season. Little bit of deja vu perhaps as Pierce said the same words after sealing a win in last year’s playoffs against the Raptors as a member of the Brooklyn Nets. There’s no question that Billy King and the Brooklyn Nets made a bold, bold move this off-season acquiring Kevin Garnett, Paul Pierce and Jason Terry from the Boston Celtics.